I am still experimenting with Einkorn flour and these were delicious. 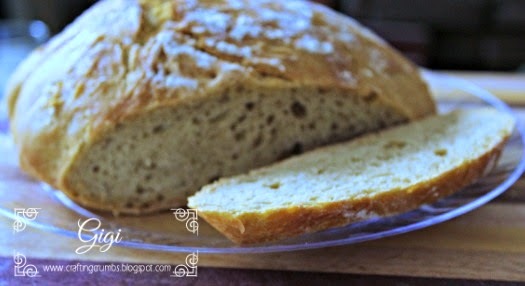 Because of the low gluten in einkorn, they do not rise a lot, but enough to make them light and delectable! And I love starting out the morning with a scrumptious healthy (most of the time!) muffin and a cup of coffee. 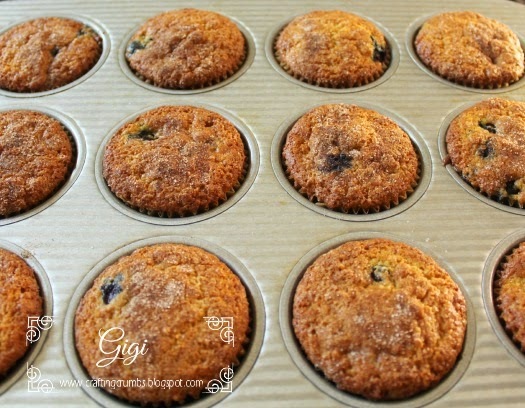 Line the muffin pan with liners (I love the unbleached baking cups). Combine the three flours, salt, baking powder, baking soda and lemon zest in a mixing bowl. Whisk together well. 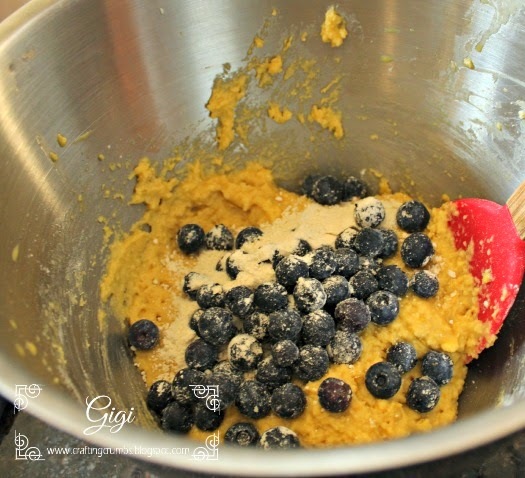 Take a little of this mixture and toss with the frozen blueberries just before adding. 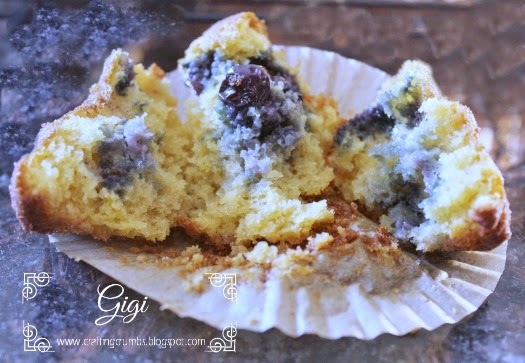 (It will keep the blueberries from sinking to the bottom). Combine the butter, honey crystals and sugar and cream together for several minutes, until everything is creamy and lighter in color. When the butter is well mixed, add in the eggs one at a time and mix well after each addition. Then add the vanilla and almond extract. Continue to mix and don't worry if the mixture looks a bit curdled. It will be fine once all of the ingredients are combined. Add the Greek yogurt. Add the flour mixture a little at a time, but only mix til blended. Gently add the blueberries. 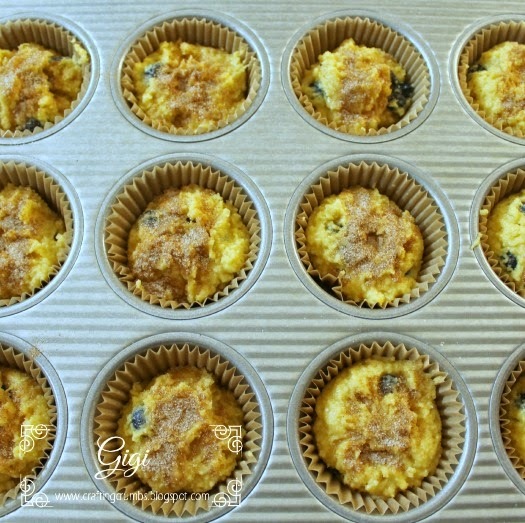 Scoop the batter into the muffin tins, filling about 2/3 full. 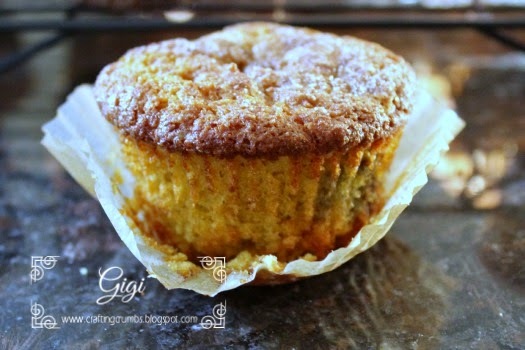 In a little Pyrex dish, combine the sugar and cinnamon and sprinkle over the top of the muffin batter. Bake for 25-30 minutes or until a toothpick inserted in the center comes out clean and dry. Remove from the oven and cool on a wire rack. Allow to cool before serving. Light, airy, and full of deliciousness! 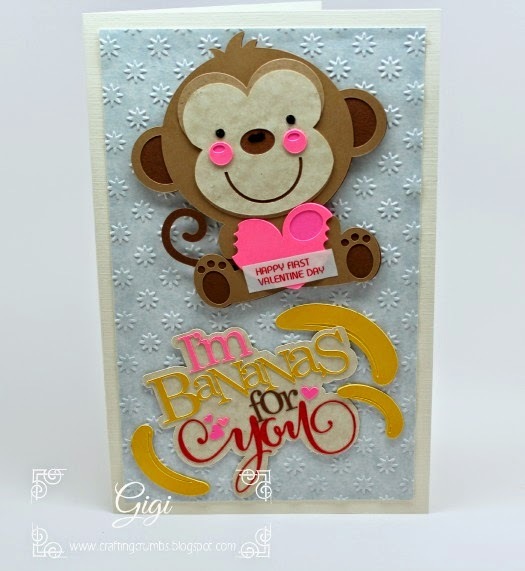 I love making cards, but this is one "occasion" that I do struggle with the card. There are always emotions interfering with any creative process that may be trying to develop. I want the card to speak to the family or individual. I want them to know that I care. But how do you put all of that into the construction of a card? I don't have the answer to that, but I try to do the best that I can. This was a tough card to make. A friend had lost her grown daughter. The circle of life is just not supposed to work that way :( So I what bring me solace and peace - the beauty of nature. 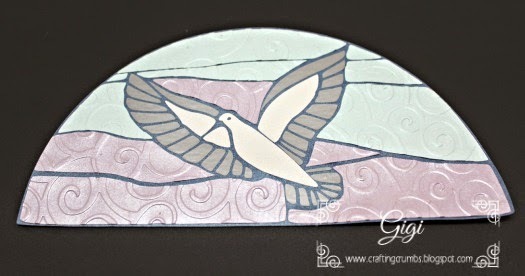 I found a stained glass patter in one of the Dover Art clip art books I have and turned it into a cuttable design. Dover Art has many books with royalty free clip art that really helps when you are looking for the perfect inspiration. 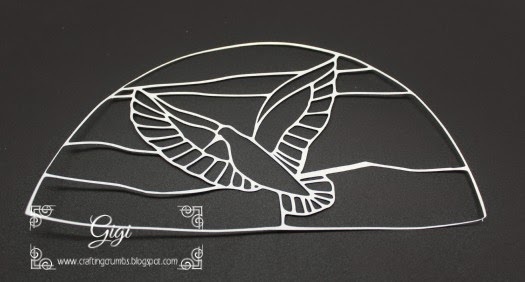 The papers are once again from Paper Temptress with a touch of silver vinyl for the accents on the wings of the dove. 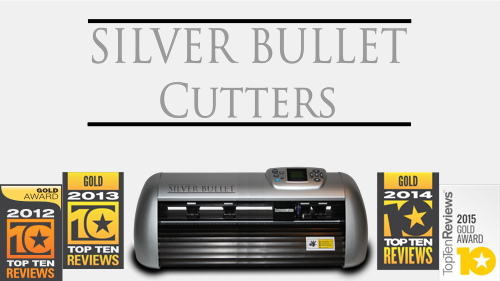 Some of those cut lines are very fine and the Silver Bullet did an awesome job as always. the pieces in the right spot. It made the placement so much easier! This is a real comfort food for me. I don't remember eating a lot of this growing up, in fact I may not even have tried it until I was an adult. I just am not sure. But I do know that it quickly became a comfort food for me - much like chicken soup or chicken and noodles. It's warm and satisfying and gets better with every bite. 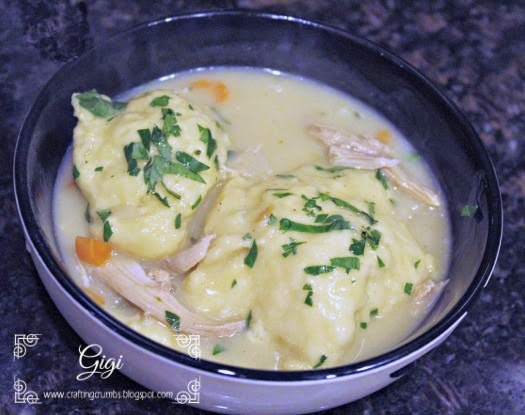 The einkorn flour makes this dumpling a little softer and lighter but not a bit of the taste is compromised. I can hardly wait to make it again. 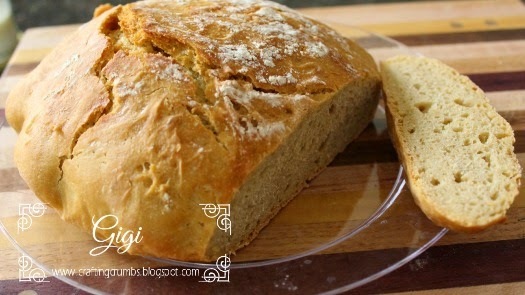 And if you don't have einkorn flour, feel free to substitute with any flour you have on hand. The original recipe was actually designed for regular flour. Stove top cooking at its best - ready to serve! (yes - the top is COVERED in dumplings!) YUM! Season the chicken with salt and pepper. Heat a large pot over medium-high heat and add olive oil and 2 tablespoons of the butter. When hot, add the chicken to the skillet and cook it on both sides until dark golden brown and cooked through, about 5 to 6 minutes per side. Remove the chicken and set aside in a bowl;shred when cool.Reduce the heat to medium and add the other 2 tablespoons of butter. Add the shallots, carrots, celery garlic, rosemary and thyme. Add a pinch of salt and pepper, stirring well. Cook until the vegetables are soft - about 5 minutes. While the vegetables are cooking, mix the dumplings. Whisk together the flour, baking powder and salt in a large bowl. Combine the milk and eggs, and stir into the flour until just mixed. Set aside for a few minutes. 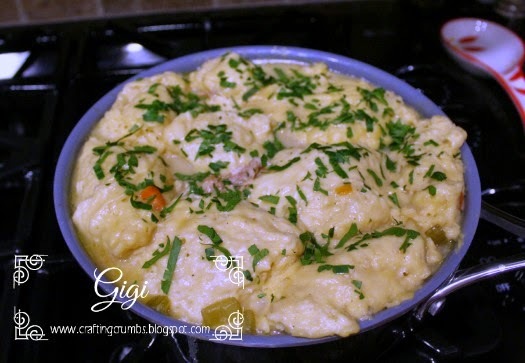 (mine sat for 15 minutes or more and the batter rose and made very light dumplings. Sprinkle fresh chopped parsley over the top of the dumplings. Serve immediately! IF you have leftovers, add a little milk when reheating. This was SO good I ate it almost every night for a week. Sometimes when I have leftovers I have to force myself to eat them, but there was no forcing with this one! I was quite content to have a small bowl of this every night! I hope you love it too! 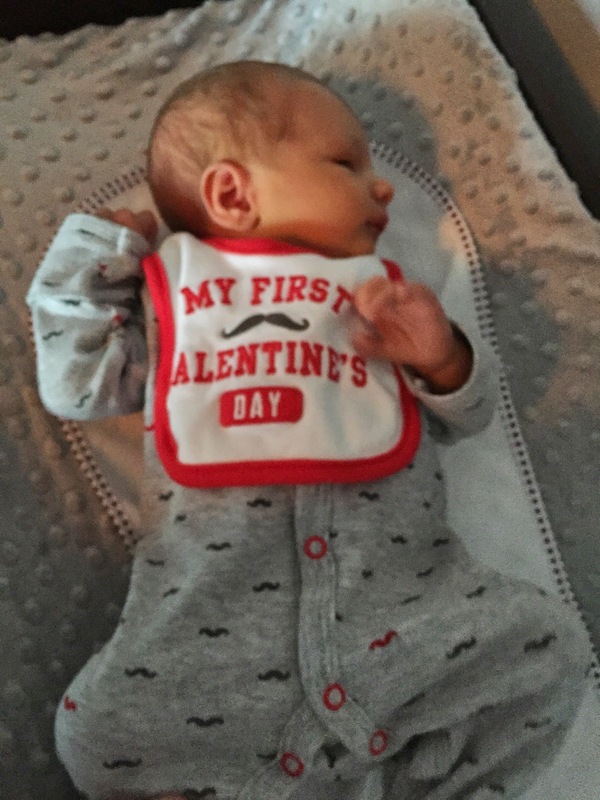 Happy First Valentine's Day, Carter! This just popped up on my phone. What a way to begin the day!! Carter is 12 days old today! I have to start this post with an apology. 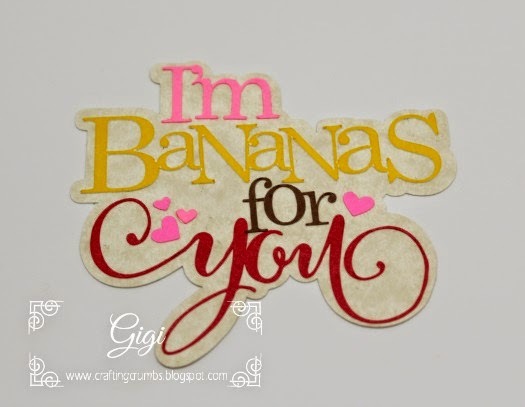 I have a DEAR friend (who I hope will remain a dear friend after she reads this!) whose birthday is also today. I had limited time this week - and didn't plan ahead well enough. 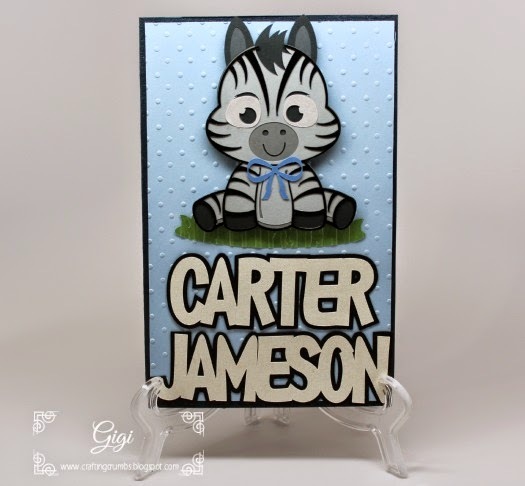 :( So....... when I realized I had to make two cards this week and only had time to make one.......well new grandson Carter won out. So my friend's birthday card will be fashionably late, but full of love nonetheless...... I hope she forgives me. 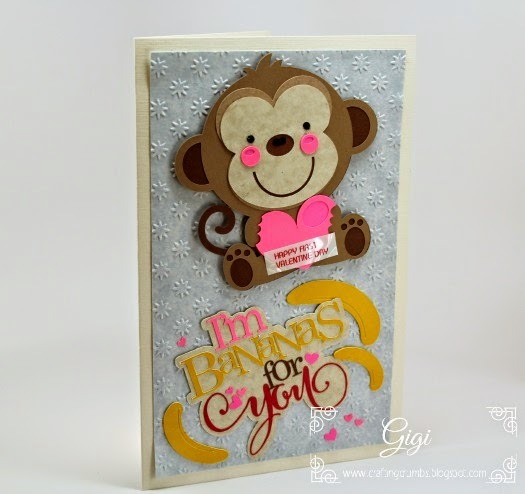 I had the great fortune today to deliver this Valentine card in person yesterday and bring him a special Valentine outfit (see above photo!) for his first "heart" day. (and you are right - every day is "heart" day when there is a baby involved...) I spent a good part of the day with them and held him in between feedings and was truly in seventh heaven. I am totally smitten with this little guy. He has stolen my heart, and it is quite clear that he has stolen the hearts of his Mom and Dad as well, and everyone who meets him. What a love bug!! 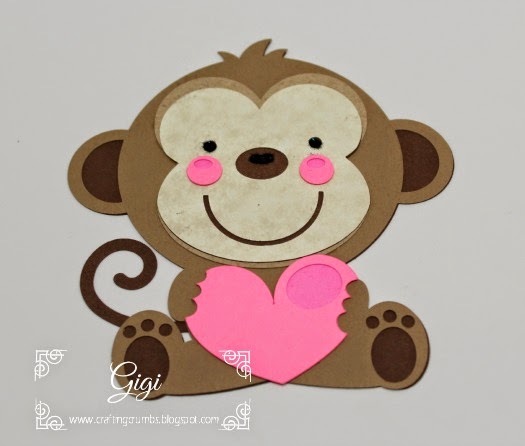 This is the cute Valentine Monkey from Miss Kate's Cuttables. Papers are mainly from Paper Temptress . 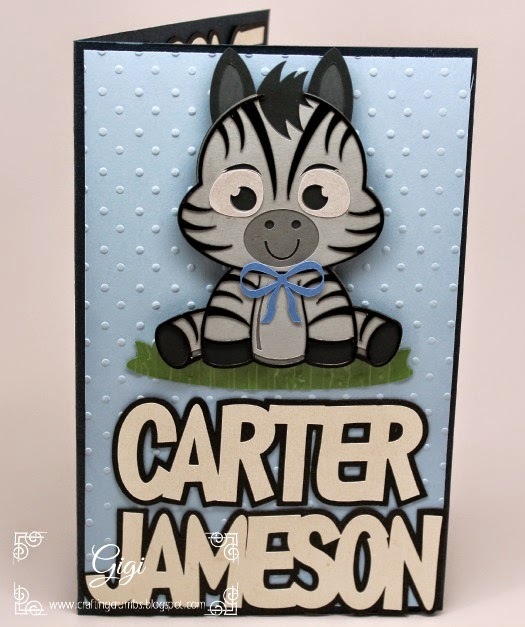 For his special card, I went back to the animal theme of the nursery and used the cute monkey from Miss Kate's Cuttables. I love her files and these animals are just TOO adorable. 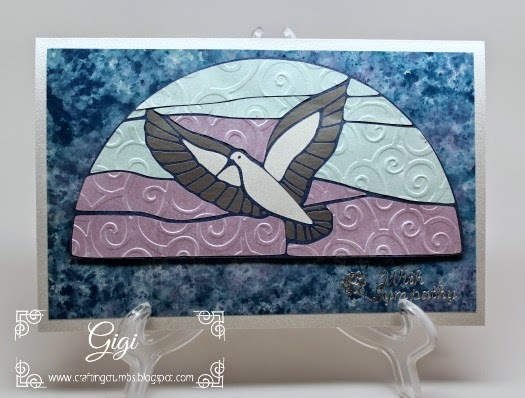 A lot of her images have multiple layers, but they are fun and quite easy to put together. This one was no different. Not the best photo - having a shadow problem for some reason! This card is Mom and Dad approved. And hopefully one day it will bring Carter a smile as well. WELCOME TO THE WORLD! BIG NEWS!!! It's been a pretty wonderful week in my life. As I announced here many months ago, my oldest son and his were expecting their first child and have been enjoying the mystery of "what are we going to have?" Well - the wondering is over and this special blessing entered the world at full speed - TWELVE days early! and he - yes HE - is absolutely gorgeous and perfect in every way. He was born Monday morning (a week ago) and weighs a very healthy 8 pounds, 1 ounce. The world, well at least my world, is a much brighter place with the birth of Carter Jameson Bricker. Don't you just love that name? It is such a strong wonderful name. So anyway, when I finally returned from all of the excitement, I was excited to actually be able to assemble the card and reflect the "boy" theme! 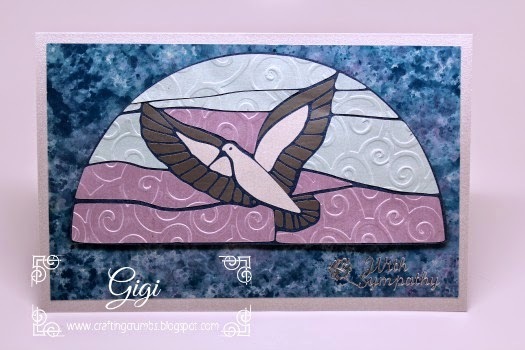 So I pulled out plenty of blue card stock to utilize the appropriate color and the card came together perfectly. I was so happy. 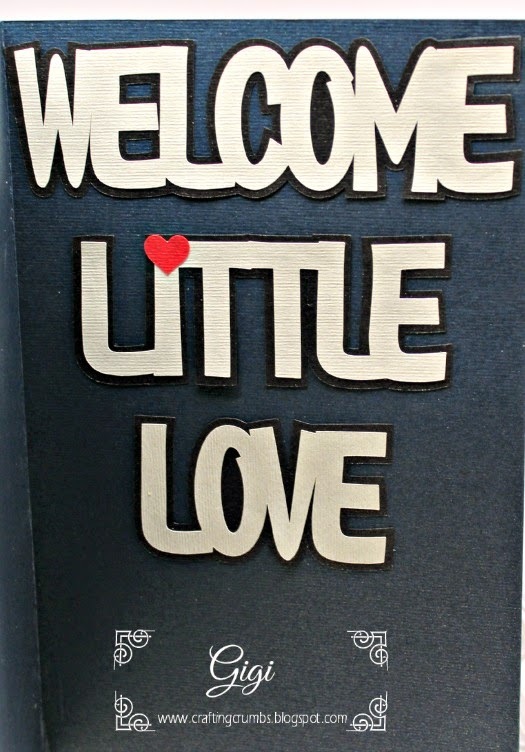 I had already made a pattern for "Welcome Little One" as I had planned to put that on the front of the card. But now...... 24 hours later..... I had a name! So Carter Jameson went on the front and off it went to Megan and Scott. 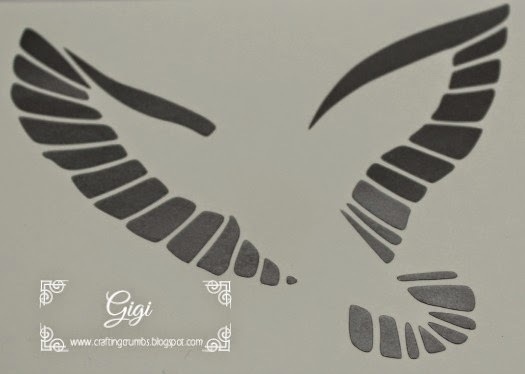 Detailed zebra cut - thanks to the Silver Bullet Cutter. 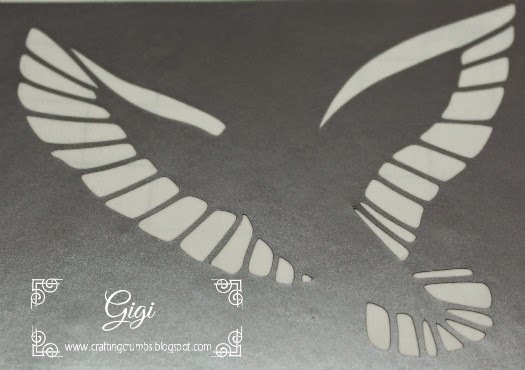 and they are so easy to cut! Can you tell how overjoyed I am? 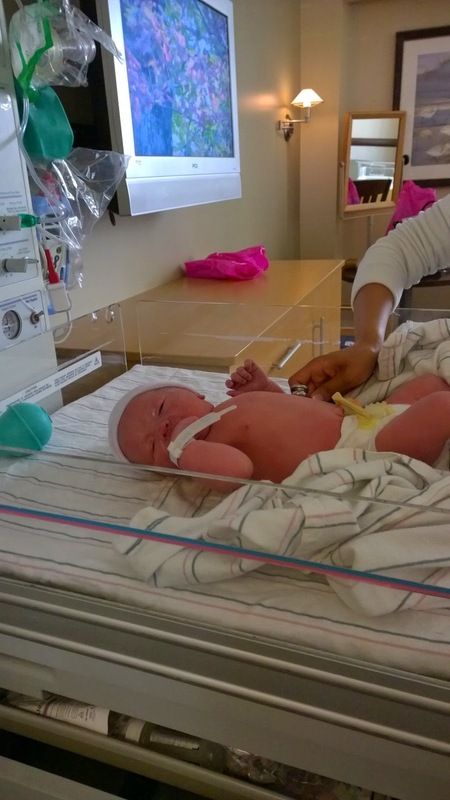 The first male grandchild and one that is only 45 minutes away instead of the two girls who are 6 hours away. I know - I am still so lucky. They could all be across the United States or even overseas, but they aren't. We are all in one state, just a bit scattered. I love each and one of them with all my heart. But what is it about a baby that just consumes every part of your being. It doesn't diminish your love for anyone else, but your heart just expands - and explodes with love and tears of joy and oh so much gratitude. Is he not the most beautiful little boy you have EVER seen?!? So your first question may be "What in the world is Einkorn? Right?" I thought the same thing when I began the process of researching flours and learning about all the varieties that existed. Einkorn is one of the many flours considered an "ancient grain" along with others like barley, kamut, teff, spelt, buckwheat and more. Many of these are also gluten free and rich in mineral content. Some are quite high in protein and rich in fiber. Einkorn is one of the oldest and purest forms of wheat. Einkorn is very high in protein, vitamin B6, potassium and other minerals and even though it is wheat, it is very low in gluten. 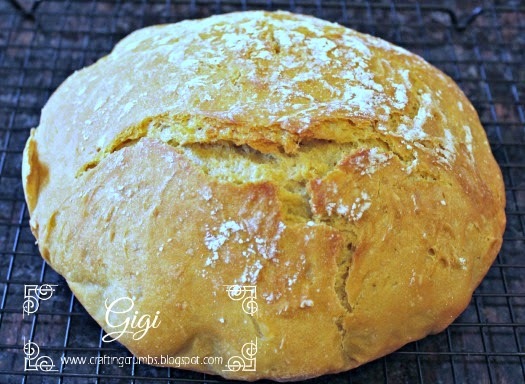 Some people who are gluten intolerant are able to eat einkorn flour. You can read more about it here. Mix the flour, salt and yeast in a large mixing bowl. Take a spatula or wooden spoon or something sturdy and scrape down the sides of the bowl and flatten the top so you have a relatively flat top. Cover the bowl with plastic wrap and let rise in a dark place for 12-14 hours. I used a ceramic bowl and put a plate over the top of the plastic to block the dough from being exposed to the light. Again, per the website instructions, the dough will darken when exposed to light (it won't hurt the dough at all, you will just get a darker product because of the carotenoids in the dough that will darken when exposed to light). When the dough is ready (I let mine rise for the full 14 hours), place a ceramic or cast iron pot in the oven and heat for 30 minutes to 500 degrees and then lower to 450. In the meantime, take the bowl of dough and turn it out onto a well floured surface. I used a large pastry cloth as it keeps the mess contained and is easy to shake off when I am done. 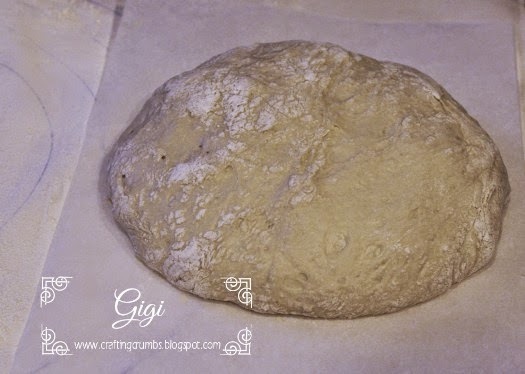 Pat the dough flat with well floured hands or a dough scraper, and then fold each of the four sides toward the center, using additional flour to make a round shape. The dough will be super soft and will not be like a "normal" ball of dough.. Handle it minimally. 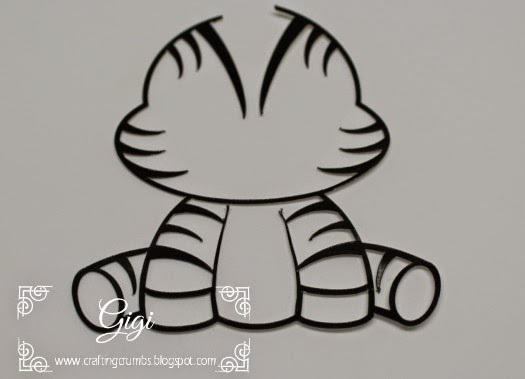 The shape does not have to be perfect as it will rise and fill out as it bakes in the oven. quickly shaped mine and placed it on a parchment square and put the whole thing in the hot ceramic pot as soon as it had heated for 30 minutes. Once you have the dough in the hot ceramic dish, cover it and make for 40 minutes, keeping the lid on the entire time. If you prefer a darker crust, remove the lid and bake for an additional 5-10 minutes uncovered. 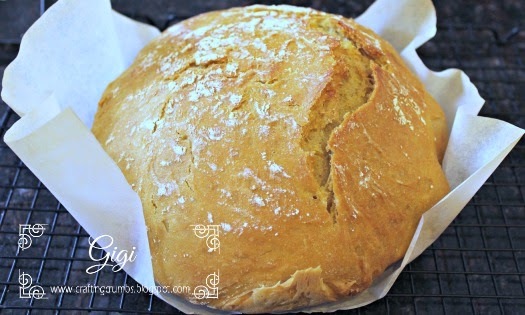 Lift the loaf out of the dish (leaving it on the parchment paper makes that much easier) and cool on a wire rack. Let cool at least an hour before slicing. I really LOVE the look of this loaf and the taste was delicious - not quite as "wheat" tasting as white whole wheat, but not as "bland" as white flour. Hard to describe, but trust me, it is delicious. This is not an inexpensive flour as 2 lbs is roughly $8 ($4/lb), but it is so healthy and delicious, it is worth using whenever you feel like spoiling yourself with a very nutritious grain. And I weighed all of my ingredients to get the measurements as accurate as possible. I love my kitchen scale. It takes all of the guesswork out of baking!